Well folks, it is summer time once again here in the Philippines and what's great about summer? No classes! So if you are itching for a great getaway abroad for the kids, Singapore is one suggested location. Let them experience an amazing adventure in Universal Studios. But before going there, here are some tips for you to enjoy your trip without hassles. If your schedule permits, avoid going there on weekends, on peak seasons and especially on public holidays because there would surely be a lot of people going. The more people equates to longer lines in every ride and shows. So it would be best to go there on weekdays or off seasons. Personally, I experienced going to USS on a public holiday in Singapore. And you could not imagine the hours of lining up just for a few minute thrills on every ride. Booking your tickets earlier means you don’t have to take the long line in front of USS to get entrance tickets. Some online or travel agencies sell discounted tickets and give away promo vouchers. When we went there last year, my sister in law booked us the tickets from a travel agency. So aside from paying a cheaper price, we also got a souvenir and meal promo vouchers free. If you have a bigger budget, you can get Express Passes so you do not have to spend time standing in line for some of the rides. This is more expensive than an ordinary ticket, but at least it would mean less time for you to stand in line and more time exploring the park. 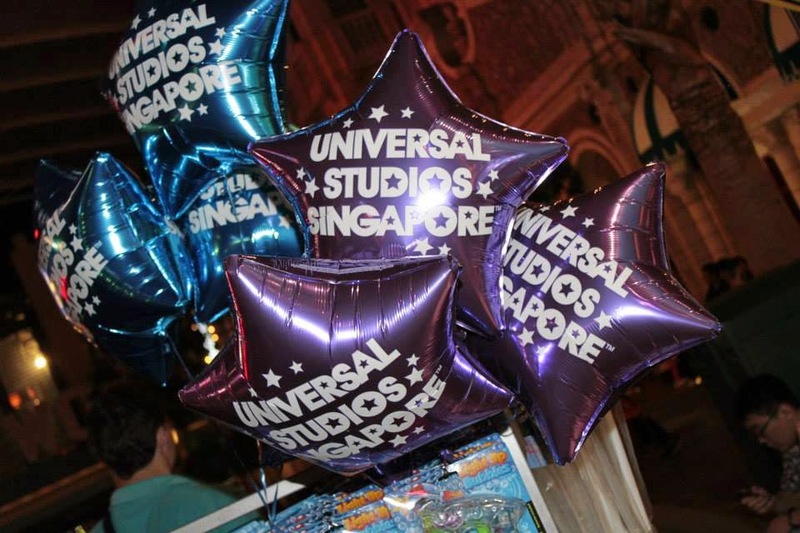 Universal Studios Singapore opens its doors at 10:00 am daily. 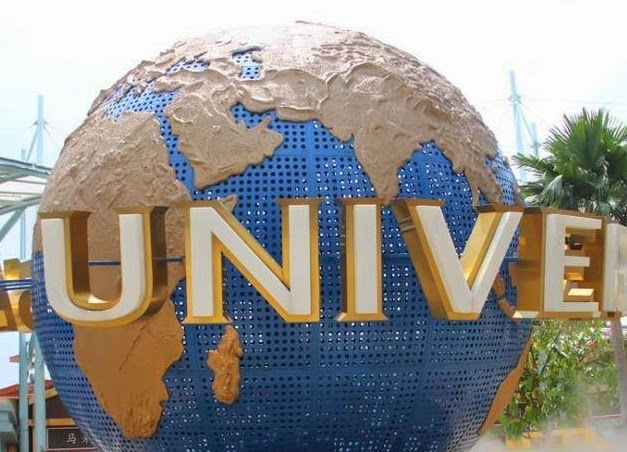 It would be best if you go there before the gates open so you will have more time exploring and taking pictures on the Universal Studios globe as well as be the first in line to queue for the entrance. Remember that USS is big with different themed zones and it would be better if you are there early to be able to explore the entire park within a day. Since Singapore is so hot especially during summer; dress in shorts, skirts, shirts, tank tops or anything that is comfortable for sunny days. Do not forget to apply sunscreen, especially on the kids for your protection against the sun since you will spend most of your day walking inside the open park. Bring hats and sunglasses too since it can be very hot during day time. I would suggest that you wear flip flops, sandals and flat shoes that are comfortable on your feet to avoid any blisters. First and foremost, if you have a little child, always bring a stroller with you since the park is so big and your little tykes would not want to walk all the time. Have water bottles as well since you can refill it in many drinking water taps all around USS. This could save you money. Also, bring extra clothes since there are some rides and places where you can get wet. 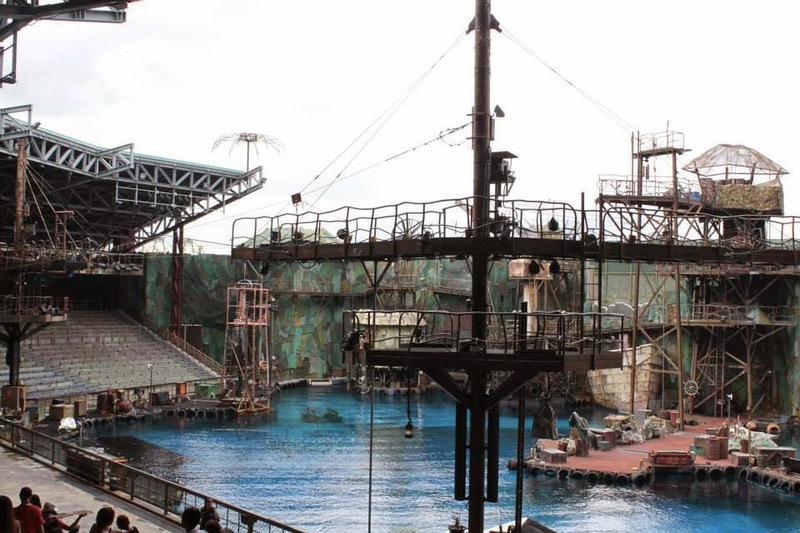 Some of these are the Waterworld show if you sit in the front rows or the Jurassic Park Rapid Adventure. 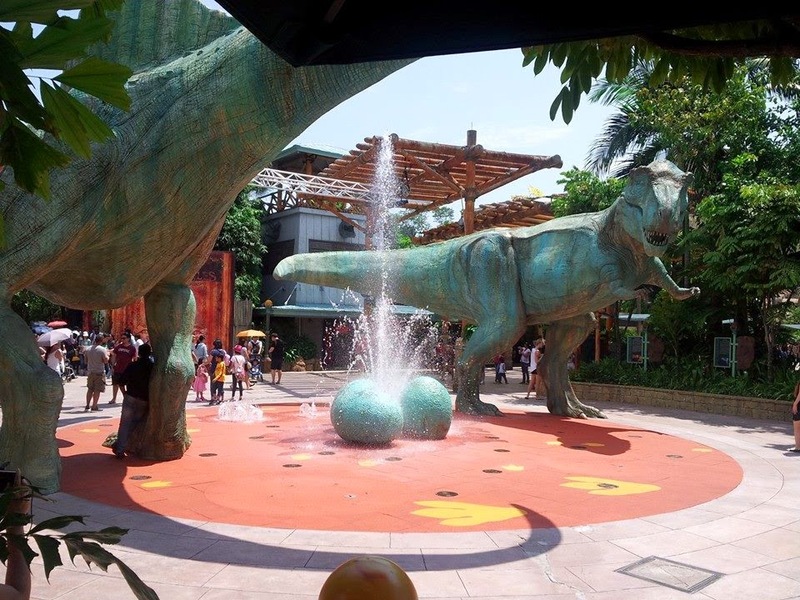 While at the Universal Studios Singapore, you need to check the schedule of the shows you would want to watch like the Waterworld, Monster Rock, Madagascar Boogie shows and many more to avoid wasting time waiting for them to open. You can get the leaflet information about the shows as well as the entire map of the USS at the entrance. There are a lot of themed zones in the USS so in choosing your time wisely, you need to go straight to the rides you really want to experience. Choose 3 rides that you really want and then line up there first after you enter USS. In my case, I really want to experience Transformer 4D, Revenge of the Mummy Ride as well as the Jurassic Park Rapid Adventure. 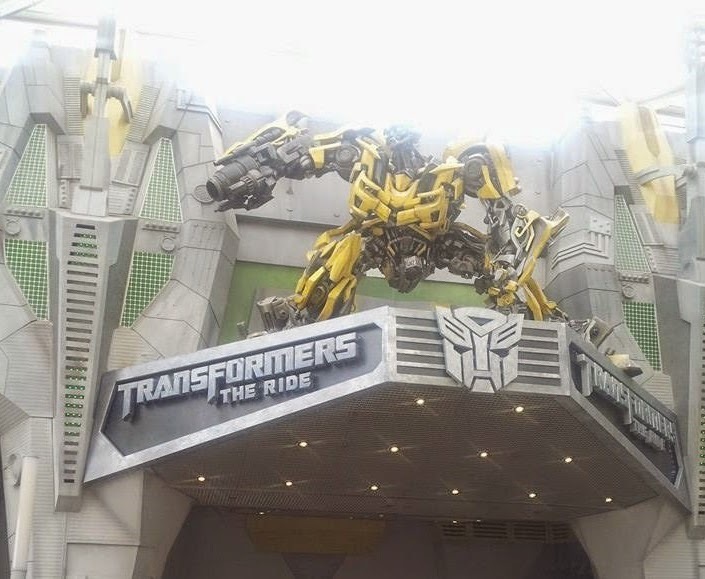 The others are just secondary so as we entered the USS, we went straight to the Transformer 4D area and got in line. Sadly, the Revenge of the Mummy ride is closed that day so we just went to the Jurassic Park Rapid Adventure. I rode the rides that I want and just spent the rest of the day riding on other rides that I also like such the Canopy flyer in the Jurassic Area as well as watching shows. Also, do not spend most of your time taking lots of pictures in one area. You can take some photos as you walk around the entire park since USS is a big area and you would not want to spend the day not experiencing all the exciting rides and amazing shows. So do plan your time wisely. There are some rides in USS with height restrictions so if you have little ones with you, better check the ride restrictions first before choosing to go to that ride and line up for hours only to get booted out. You can check their website for more information on age limitations for specific rides. A simple bag will be your best accessory if you are on the USS. I personally like a sling bag so I can just walk around and take the ride of my life without the fear of it falling off my shoulder. With this bag, you can put your camera and your cell phones. If you have extra batteries or power bank, bring it with you as well. These will be a life saver in case your battery will go conk on you. Bring an umbrella also in case it will rain as well as some candies and sweets if you have motion sickness from a scary ride. So there you go. Now that you are ready to go to Universal Studios Singapore, do not forget to have fun and make wonderful memories with your friends or families. Enjoy!